From the folks who brought us "This Land" (featured on Jay Leno's Tonight Show before the 2004 election), comes JokeBox. 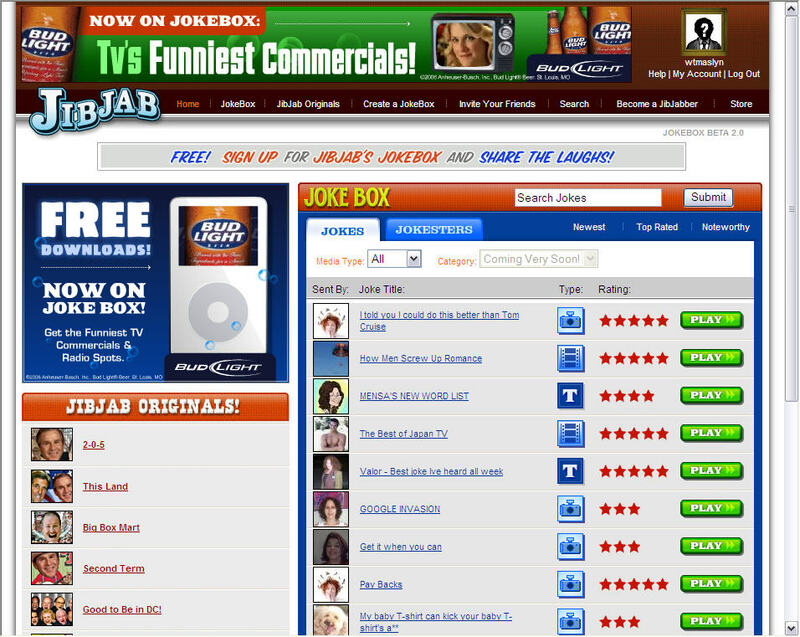 JokeBox just launched and is being described as "MySpace meets Comedy Central." Basically, it's a social community for sharing jokes and humorous, user-created content. And it's a place to send all those inbox cluttering email forwards you get from Internet novice friends and family. Check it out.